Today I am attending the first Scout User Day 2014 in Ludwigsburg, which is aligned with EclipseCon Europe 2014 starting tomorrow. 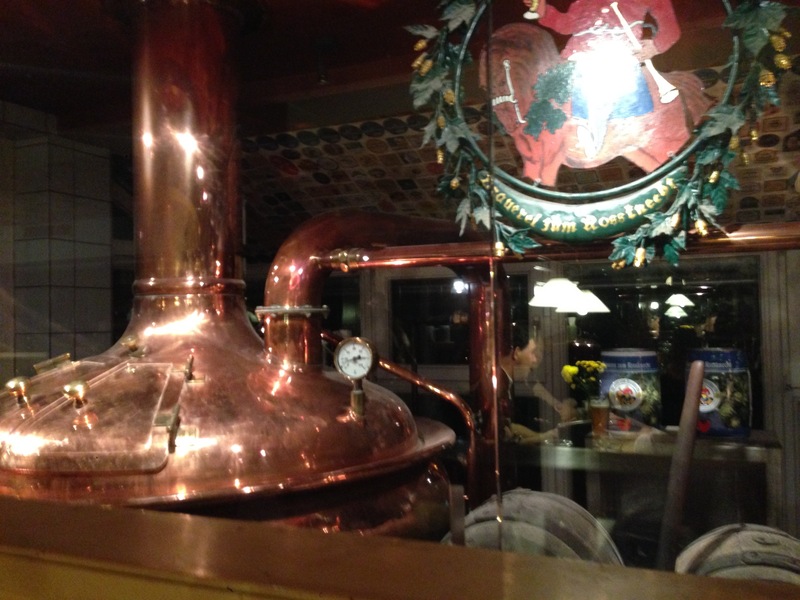 Yesterday we had a pre-event dinner with some attendees and the organizers at the Rossknecht restaurant. I got into a chat with Nejc Gasper, who will give a talk titled “Build a Scout backend with Spring” today. I was a bit surprised as he told me he did not manage to get Spring’s classpath scanning working yet. Since we are doing this in our application, I think it is worth writing now down what we had to do to get this working. 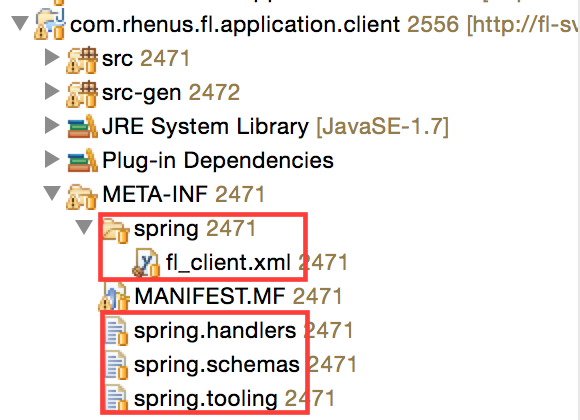 The goal in our application is primarely to use Spring as dependency injection container, since the customer uses Spring in all their other Java based applications, too, and wanted us to do so also. Now we are finally able to use Dependency Injection with javax.inject.Inject with Scout services. For tables with many columns it is often better if some of the first columns stay fixed when the user scrolls the table content horizontally. Since RAP 2.0, tables and trees support fixed columns, but Scout (current: 4.0/Eclipse Luna) does not provide this feature for its Table implementation. Since Scout supports different UI frameworks (Swing,SWT,RAP) and only RAP provides a table implementation with fixed columns support, this might be a reason for this missing feature. The necessary additions can be added to Scout without changing Scout sources themselves. Scout allows to customize UI components, including existing ones. We can add this feature with fragments. The code mentioned below can be fetched from Github “scout-experimental”. 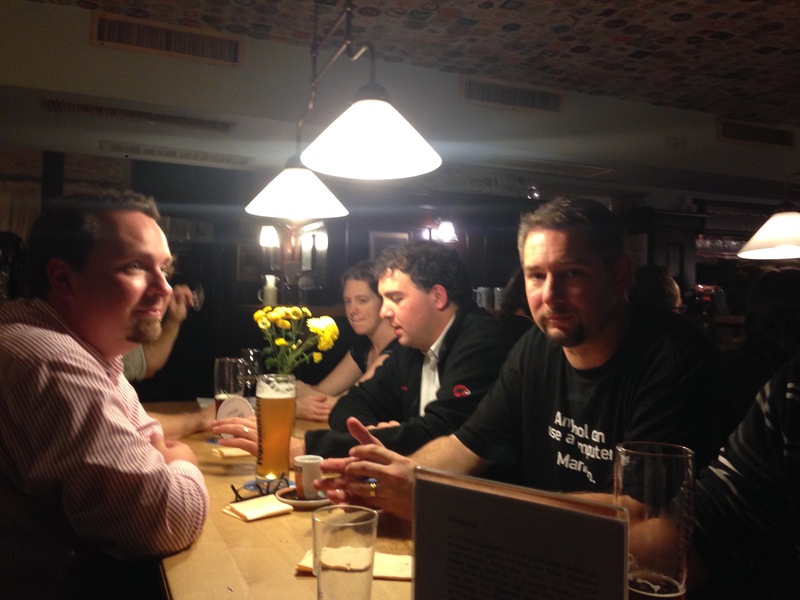 * A table that supports Fixed Columns. * Configures how many of the visible columns should be fixed. 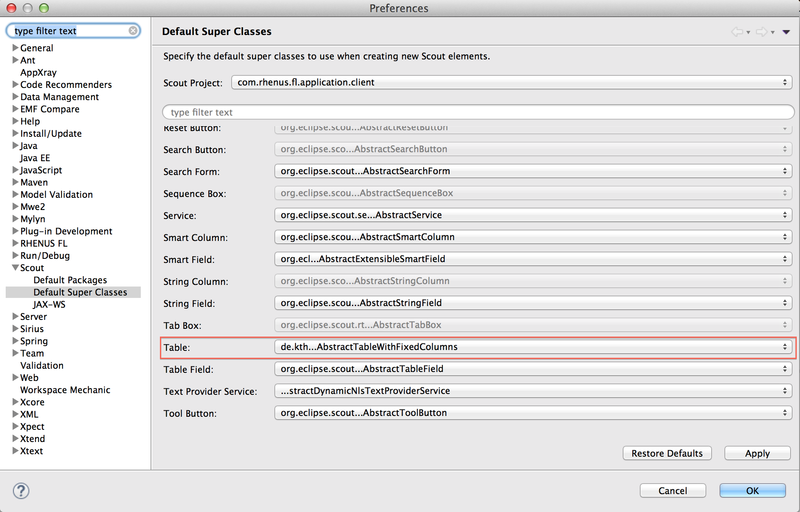 The class that must be customized is org.eclipse.scout.rt.ui.rap.basic.table.RwtScoutTable. I’m not good in creating names, so I call its extension just RwtScoutTableExt. // should be fixed in the RWT table. The number of configured fixed columns has to be specified by a property of the table field. For now, you might wonder why we do not simply set the configured fixed column value. The reason is, that some columns might not be visible, and when configuring the fixed columns, you would expect that only the visible ones should count. The created fragment is a fragment of the bundle org.eclipse.scout.rt.ui.rap. At least from Scout version 3.9.0 on, likely earlier, the mentioned solution should work. IFormFieldExtension.SCOPE_GLOBAL to indicate this extension to have a global scope (whole eclipse). Global defined extensions overwrite the default implementation. Overwriting the default implementation is exactly what we try to achieve here. The first 2 columns are marked as fixed. In fact, in front of the first visible column the table has a non-displayable Id column. When scrolling the table horizontally, the columns “Iso 2 Code” and “Description” are fixed.